As Hurricane Sandy hammered the US East Coast earlier this week, we had our own meteorological worries. 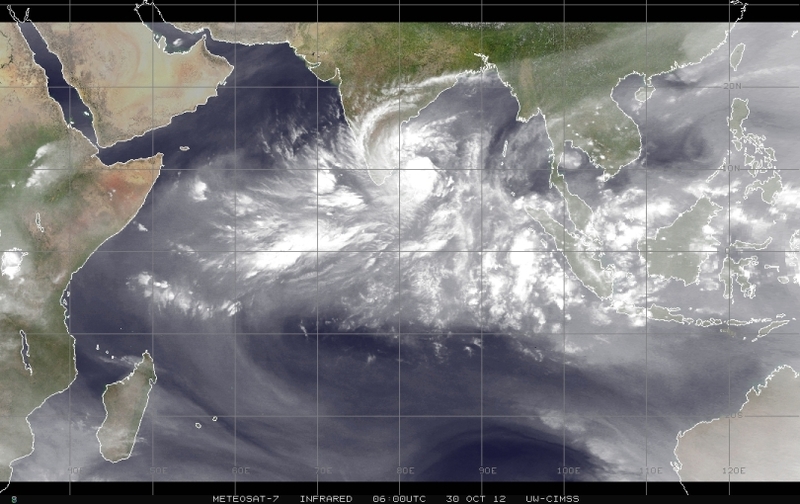 A tropical cyclone — belatedly named Neelam — swept past parts of Sri Lanka’s North and East. It then headed to southern India. The two atmospheric turbulences were not comparable. Sandy was far more ferocious. But Neelam caused enough disruption as well — it wasn’t just a passing gust of wind. As I followed the two disasters through print, TV and web media reporting, I wondered: how come we had more about Sandy in our own media than on Neelam? Is it because, as some argue, the global media were so preoccupied with Sandy, and provided saturation coverage? Or are our own media outlets unable, or unwilling, to cover a local weather anomaly with depth and clarity? 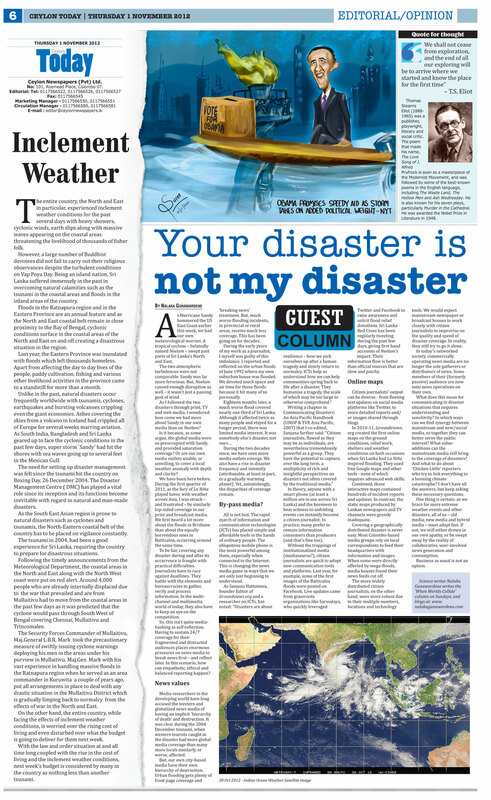 This is the opening of my latest op-ed essay, Your Disaster is Not My Disaster, published in Ceylon Today newspaper, 1 Nov 2012. “In today’s networked society, commercially operating news media are no longer the sole gatherers or distributors of news. Some members of their (formerly passive) audience are now mini news operations on their own. See also my March 2011 blogpost: Drowning in Media Indifference: Who cares for the backwoods?